Jenna and Josh, stop it already! 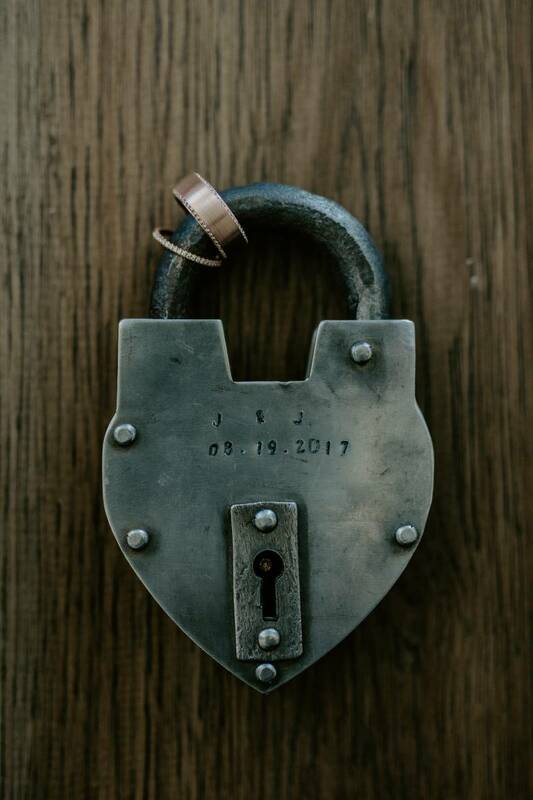 We are absolutely obsessing over this intimate and romantic lakeside wedding, which took place at a private residence in Sylvan Lake. 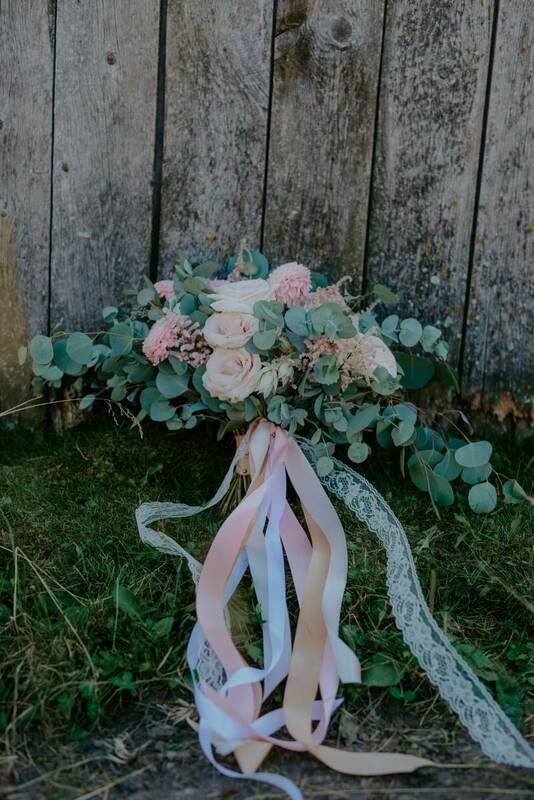 Photographed by Kelly Redinger, their wedding is filled with blushes and ivories - it's romantic, elegant and is giving us all the feels today! First things first - can we talk about how beautiful Jenna's Hayley Paige gown? The structured sparkle and the layered tulle is bridal perfection. 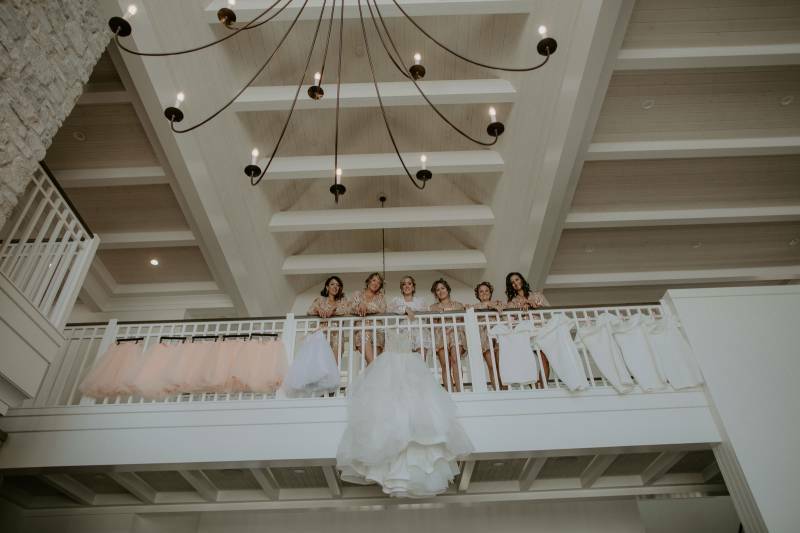 Jenna chose to carry through the structure of her wedding dress to her bridesmaid's attire, with bold off the shoulder tops paired with tulle skirts. Their tented wedding reception had stunning decor touches, from their monogrammed head table to the unbelievable metallic gold and pink wedding cake. Hear more from the photographer and meet the entire Creative Team after the jump! 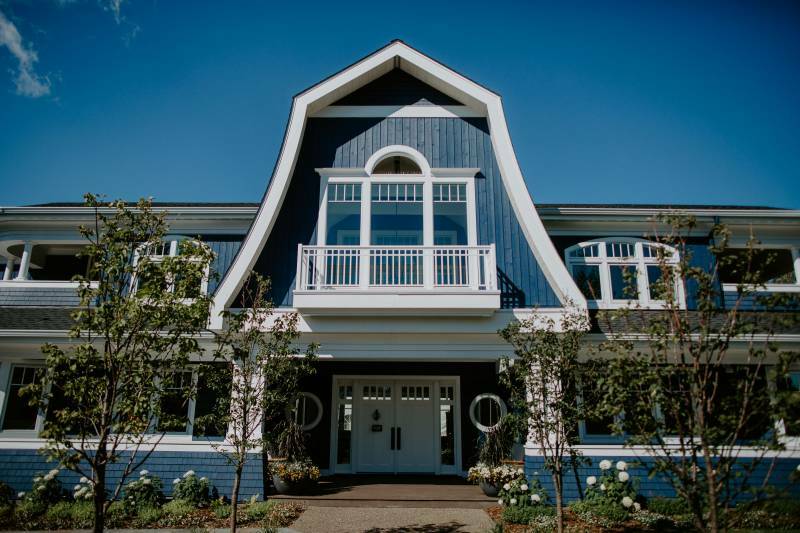 They planned a beachfront outdoor ceremony overlooking Sylvan Lake, and brought in a tent for the reception. The decor was amazing, the vendors were spectacular, and little did we know, Josh had a few surprises up his sleeve for the wedding day too. First, he surprised all the guests by arriving to the ceremony in a float plane! The plane landed on the water as the guests waited for the bride and groom to walk down the aisle! His next surprise was to play along with the band for one of their songs. Josh pulled out his Saxophone, which he had been practicing in secret, and blew the crowd away. He followed that up by singing one of the bride's favourite songs...Say You Won't Let Go by James McArthur. Once again, this was a complete shock to his bride as well as the rest of the guests. And he brought down the house with his singing. It was such a beautiful ending to their beautiful day.